Beautifully designed beaten disc earrings to make you look like a Indian diva. 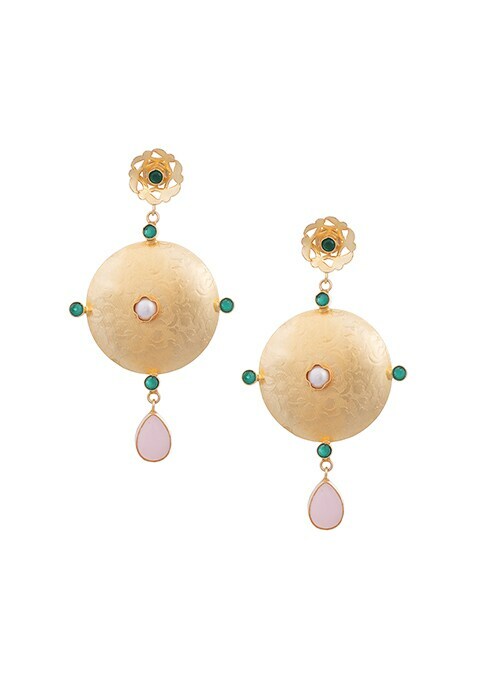 These earrings feature shades of green and pink and complimenting gold metal to make you look amazing. Work It: Pair these fabulous earrings with a smart silk kurta.